At Hard Rock Hotel. Ibiza gets back to business with the world-famous International Music Summit. Dance music has flourished over the decades from a fringe cultural pursuit to a booming global industry - and there's an awful lot to talk about. 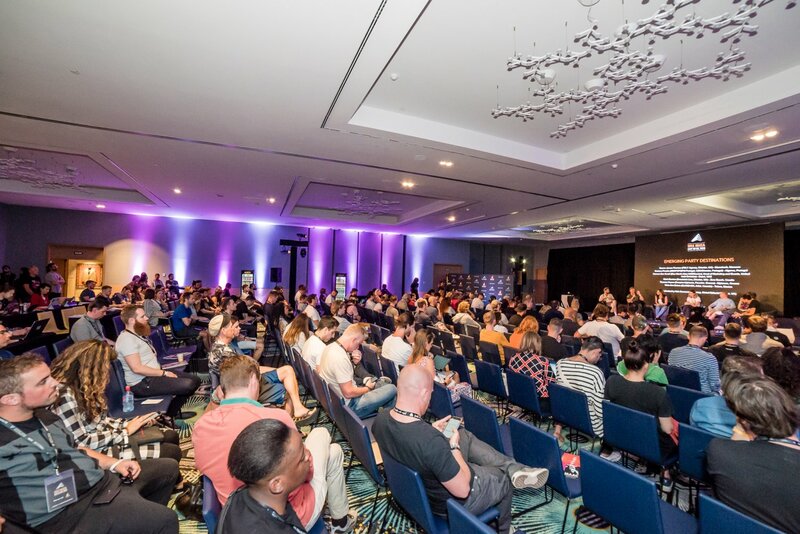 Since 2007, the dance music industry's leading players both in front and behind the scenes have congregated in Ibiza for the International Music Summit (IMS) to discuss every aspect of the music business that defines their lives. IMS consists of three days of conferences, panels, music and networking, with plenty of laughs, heated debate and useful information. The IMS business report has become the industry's leading data study, while extended interviews with legends such as Nile Rodgers, Giorgio Moroder, Fatboy Slim, Sven Väth, Jean Michel Jarre, Paul van Dyk, Seth Troxler, Paul Kalkbrenner, Richie Hawtin and even director David Lynch have all made the world envious of Ibiza's unique conference. Most who attend the International Music Summit come by invitation, but there are also many delegate badges available to purchase for anyone who wants to mingle with the industry's influential figures, learn something about production, distribution, promotion, global trends and global scenes, hear directly from their favourite artists and generally be a part of an event which reflects on and celebrates the state of dance music and pushes the industry to achieve new things. In 2019, the conference takes place from Wednesday 22 May to Friday 24 May. The panels and themes are beginning to be announced. As always, the 12th edition of IMS will cover a catalogue of hot topics most important to the electronic music industry. These include a continued focus on health and wellness within the industry, diversity on the dance floor, the politics of dancing, ghost production, intersectionality, the current state of social media, balanced line-ups, the Great Annual Ibiza Debate and much much more. See below for all the latest news on the summit. Along with the meticulously curated three-day summit consisting of influential keynotes and workshops, delegates can experience dynamic networking sessions, Ibiza opening parties, the IMS Legends Dinner and the annual IMS Dalt Vila closing celebration. As further evidence of the continued focus on health and wellness in the industry, IMS delegates will benefit from daily yoga and meditation session. Further, the Remedy State presents ARETÉ - a three-day wellness retreat tailored to the dance music community - will be taking place before the main IMS summit. Mark your calendars, then, as the week leading up to Friday 24 May 2019 promises to be huger than ever, all leading up to the show-stopping grand finale party on the Friday evening, IMS Dalt Vila. Held at the unbelievably photogenic fortified old town Dalt Vila in Ibiza Town, this unique open-air fiesta also marks the unofficial opening of the season here on Ibiza. IMS Ibiza: Day 4 with Dixon and The Martinez Brothers.